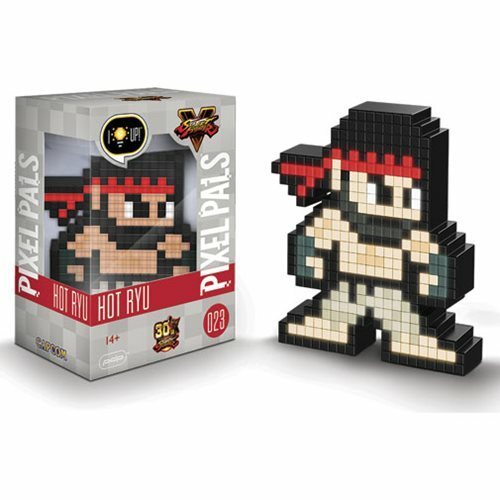 Light up your world with the Pixel Pals Street Fighter V Hot Ryu Collectible Lighted Figure! 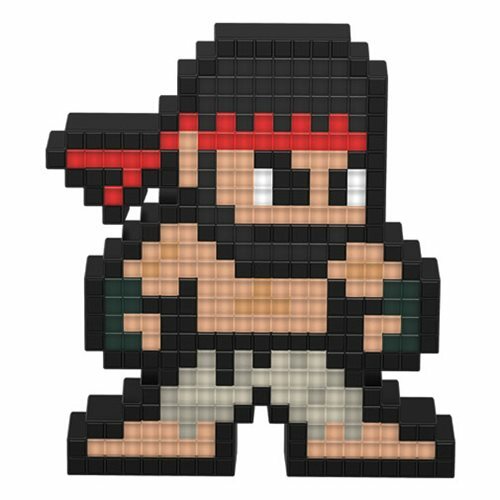 Often recognized as one of the leaders of the Street Fighter series, Ryu premiered in the very first Street Fighter game in 1987. In Street Fighter V, Ryu premiered his stylish black beard, shaggy hair, and white tattered karate pants. Still humble and respectful, Ryu continues his training and possesses a strong sense of justice. Requires 2x "AAA" batteries, not included. 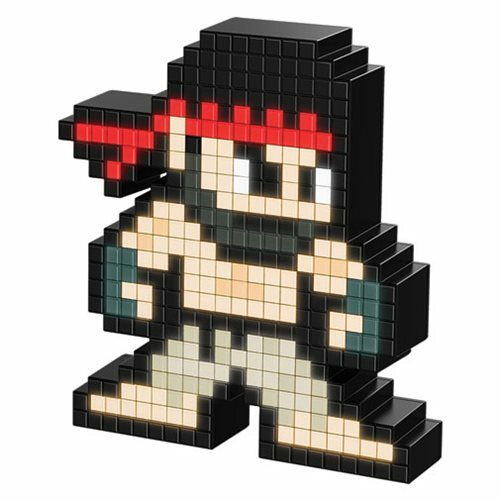 Collectible light up pixel-art renditions of your favorite iconic characters, Pixel Pals are easy to display at home or in the office. Show off what you love and shine bright with Pixel Pals! Ages 14 and up.